How Hybrid Mobile Apps Impacts The Insurance Industry? Over the past few years, a new trend has been emerging; technology savviness has decreased and becomes less restricted to a specific age group. As a result, several business entities across all industries started organizing and creating mobile strategies accordingly. 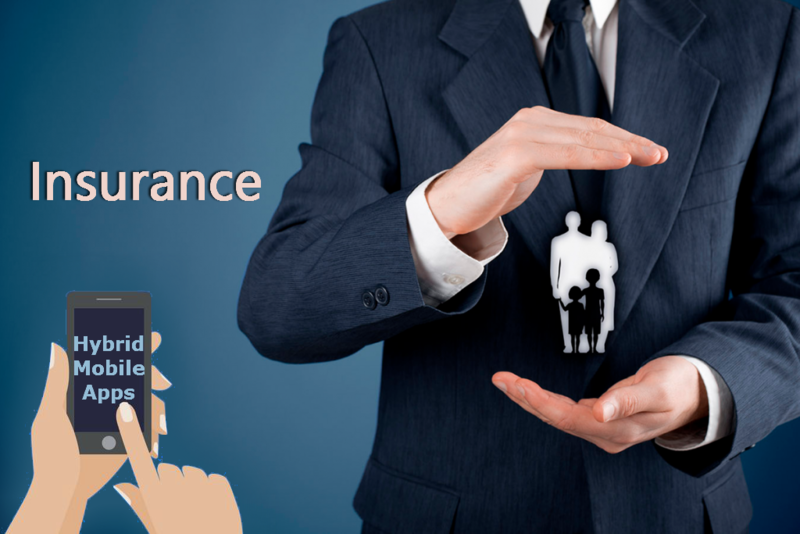 Now I am sure you must be wondering how mobile impacts the insurance industry. Mobile apps are considered as a fixture in practically every element of our lives today and the insurance industry is no exception, especially since the field is more competitive than ever. Despite being outlines in banking and payments for app adoption, apps turn out to be one of the most common offerings from most providers, enabling customers to check and manage their claims, make payments, and other functions. Mobile technology is not just changing the way people interact with the insurance provider, it’s even affecting customer loyalty and expectations. One of the best advantages of choosing the hybrid app development approach is that the app can be developed as one base code and ported between different platforms, enabling the company to have a presence on both Android and Apple devices without the time and expense of having to start from scratch. In addition to this, there are so many frameworks available that make the process simpler and better. Other than insurance, the approach is being used by several other industries, particularly in mobile gaming and digital media services. Although, the approach successfully enables an insurance firm to deploy its app more quickly and widely; it also brings with a fresh set of risks. For example, as soon as the app becomes available for download, cyber criminals can immediately get hold of it and began searching for weak links in its security. Apps are at risk and anything with more sensitive information such as personal information or financial data including any insurance apps with any functionality around managing or making claims becomes the prime target. Like I said before, hybrid apps can be hazardous but insurers can still enjoy their reduced costs and development time without putting themselves and their customers at risk. All they need to do is seek help from a reputable hybrid app development company who have the potential to deploy additional security to counter the weak points.